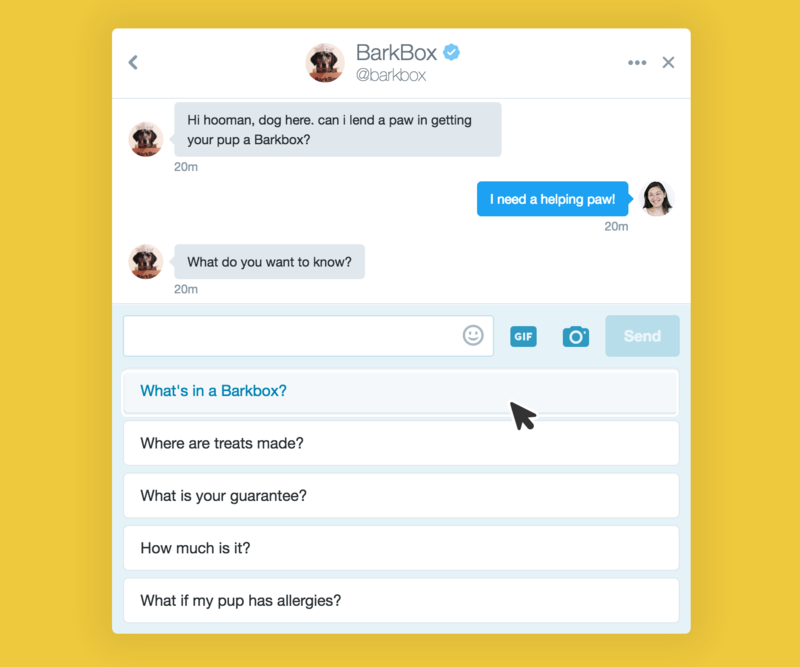 This holiday season, Zendesk Message partners with BarkBox—the curated monthly box of toys and treats for dogs and their people—to launch the first ever “dog bot” over Twitter Direct Messages. Want to take this puppy for a spin? 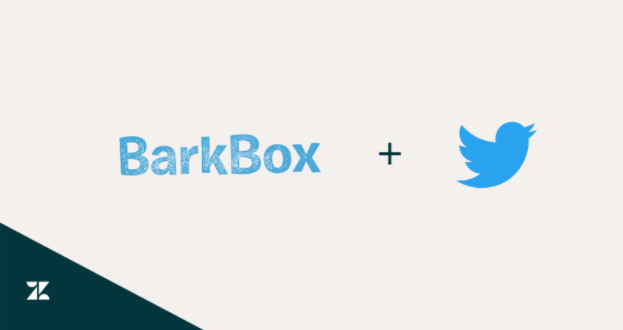 Send BarkBox a Direct Message on their Twitter account @BarkBox and find out what all the howling is about. 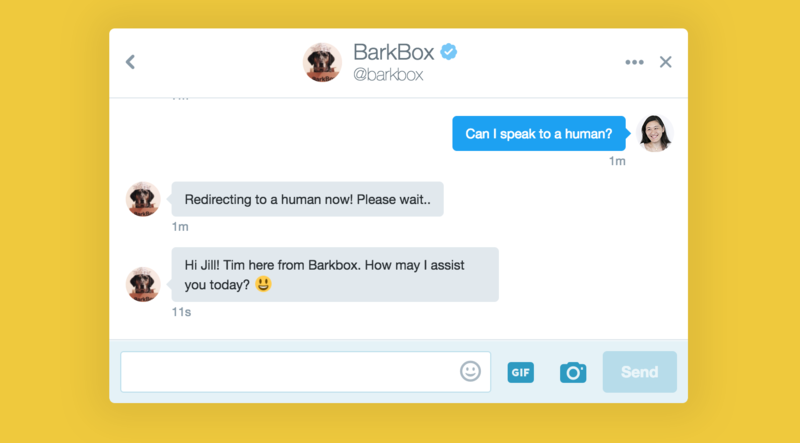 Twitter Direct Messages has been around for years and two new features—welcome messages and quick replies—were recently released. Used together, businesses can offer even better and faster support to their customers and help guide customers to a quick resolution. Your customers are messaging. So should you. 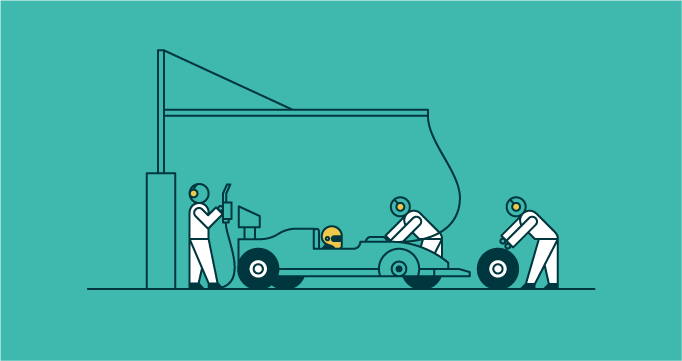 If you’re an early adopter and interested in adding Facebook Messenger or Twitter Direct Messages to your support channels, register for our Early Access Program wait list at Zendesk Message. Too many brands don't know how to provide customer service on Twitter. 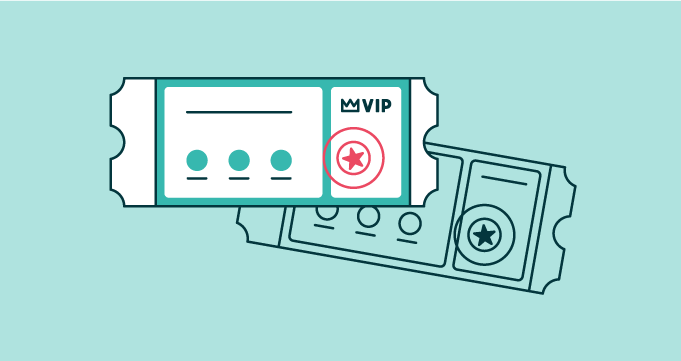 Our tip sheet makes sure you aren't one of them.